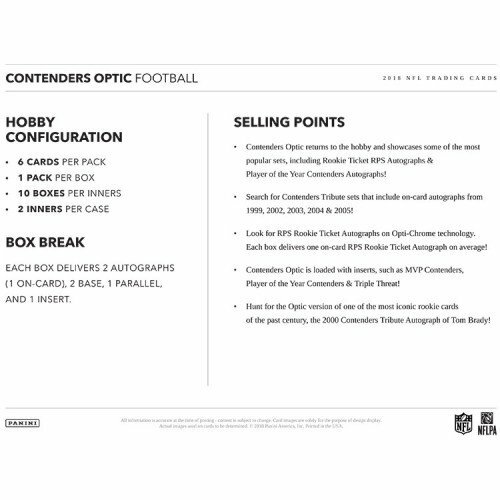 Each Box contains Two Autographs (1 On-Card)! ROOKIE TICKET RPS AUTOGRAPHS: Bursting back onto the hobby scene is Rookie Ticket RPS Autographs. Search for these new rookie faces who look to make an instant impression! 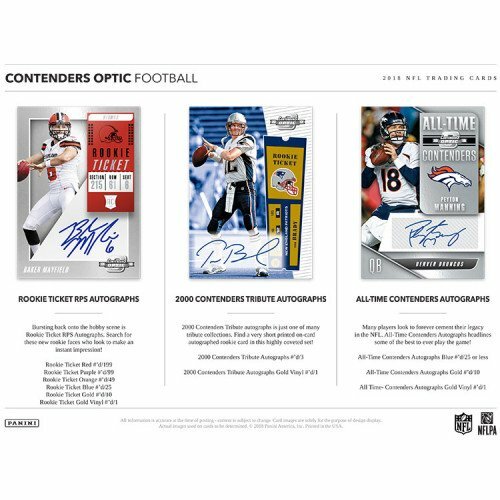 2000 CONTENDERS TRIBUTE AUTOGRAPHS: 2000 Contenders Tribute autographs is just one of many tribute collections. 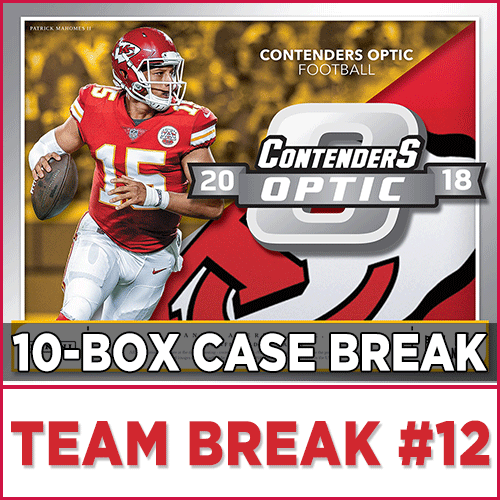 Find a very short printed on-card autographed rookie card in this highly coveted set! ALL-TIME CONTENDERS AUTOGRAPHS: Many players look to forever cement their legacy in the NFL. All-Time Contenders Autographs headlines some of the best to ever play the game! 2004 CONTENDERS TRIBUTE AUTOGRAPHS: Go back in time with autographed on-card tribute sets from 1999, 2002, 2003, 2004 & 2005. Included are rookie autographs from players like Aaron Rodgers, Eli Manning & Kurt Warner! : Every year there are certain players who stand out from the rest. 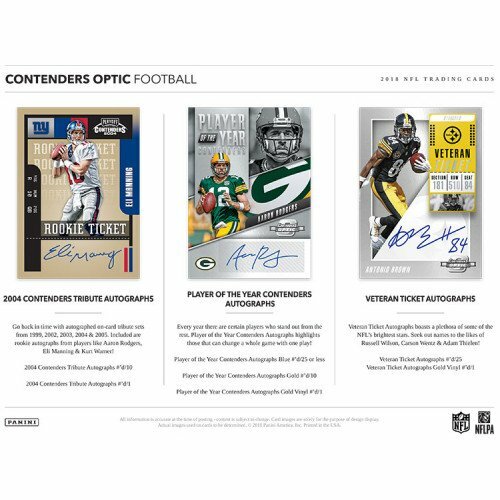 Player of the Year Contenders Autographs highlights those that can change a whole game with one play! VETERAN TICKET AUTOGRAPHS: Veteran Ticket Autographs boasts a plethora of some of the NFL's brightest stars. 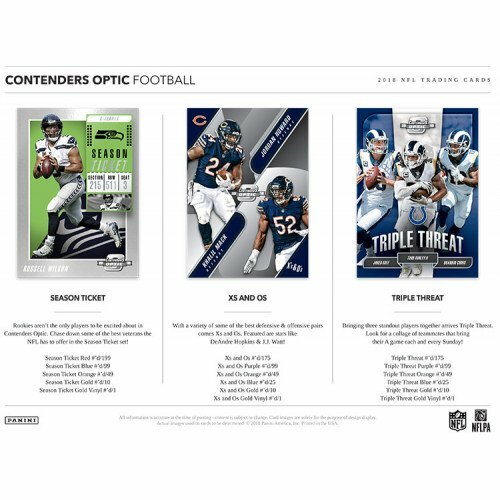 Seek out names to the likes of Russell Wilson, Carson Wentz & Adam Thielen! SEASON TICKET: Rookies aren't the only players to be excited about in Contenders Optic. Chase down some of the best veterans the NFL has to offer in the Season Ticket set! XS AND OS: With a variety of some of the best defensive & offensive pairs comes Xs and Os. Featured are stars like DeAndre Hopkins & J.J. Watt! TRIPLE THREAT: Bringing three standout players together arrives Triple Threat. Look for a collage of teammates that bring their A game each and every Sunday!